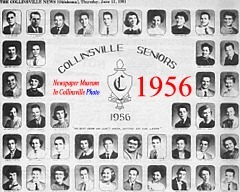 These CHS Class of 1956 members met together Feb. 21, 2004. 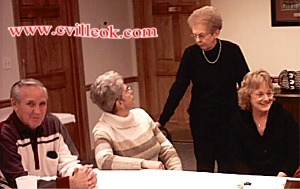 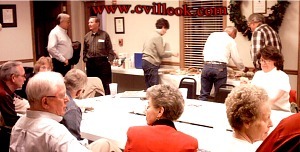 The unexpected brief return from Alaska to Collinsville by both Mary (Wasson) Elliott and Jerry Wasson prompted some quickly arranged meeting with former classmates and friends. 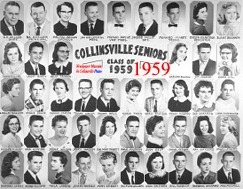 The photos below show members of various 1950s classes that met with class of 1959 group that shared stories and photos Feb. 18th, 2004.